There are many different ways to advertise the products or services of an organization. Regardless of the type of your organization, the internet can be a great way to share information with those that need to know more about it. Our goal is to design your site so that it will attract visitors to your site – and keep them coming back. 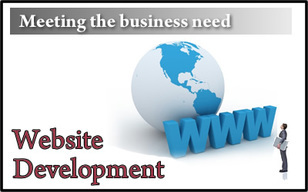 Your site will also be designed so that it will be highly visible on the major Internet search engines. This is how new visitors to your site often find you, aside from your own advertising and word of mouth. When you hire us to build your site you get the following: website consultation, website design, domain name registry, hosting provider interaction, and website maintenance after the site is live. 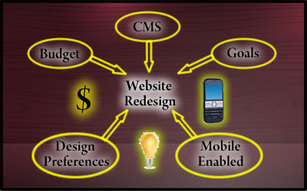 Does your website need to be redesigned or enhanced? Does it have all the functionality you need to grow your organization? You might be losing potential business because your site was not designed properly or it just hasn't kept up with your needs. Maybe it's not well-maintained, has broken links, or just doesn't have the features customers expect. JCWS can help you with a site redesign. Any site we build will be "mobile enabled" so that it looks and functions well on various devices: PC and laptop browsers, tablets, and mobile phones. Once a site has been built, it has to be hosted on an internet server so people can connect to your site via your domain name (www.yourcompanyname.com). There are hundreds of companies with various plans. We will recommend those with whom we have established a good relationship and set you up with the most affordable plan to meet your needs. The content is the ultimate selling point of a website; however, with properly designed graphics, visitors will often visit a site longer and find more information concerning your organization. A site must look pleasing to the eye; however, page download time is important as well. As a result, all of your graphics will be optimized so that they show up in the browser quickly. 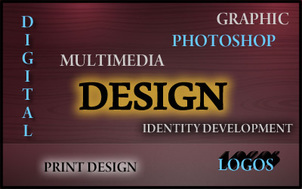 We also design graphics to be used for logo creation, brochures, newsletters and etcetera. Do you need a video of a special event? 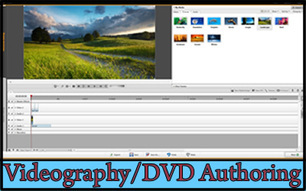 We can make a DVD complete with scene selections, transition effects, background music, and more. We can video tape your event, capture the video onto a PC, and then create as many DVDs as you require. Some of the special events we have recorded include weddings, sporting events, graduation programs, birthday parties and retirement parties. 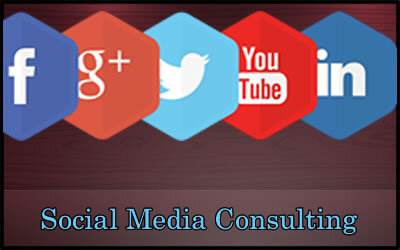 We help companies better leverage and strategically utilize social media for a variety of objectives, including marketing, sales, business development, customer service, reputation management, and crisis management. Let us help in the training of your staff on how to best utilize the likes of Facebook, Google Plus, Twitter, YouTube, and LinkedIn to reach your corporate objectives.